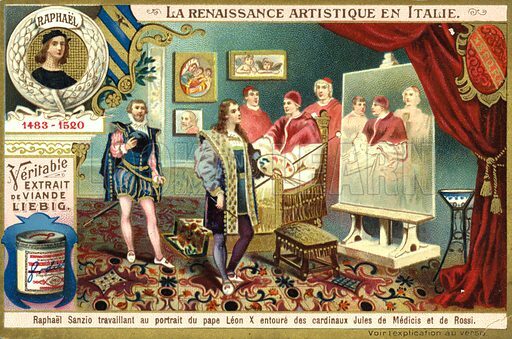 The first picture shows Raphael working on his portrait of Pope Leo X with Cardinals Giulio de’ Medici and Luigi de’ Rossi. 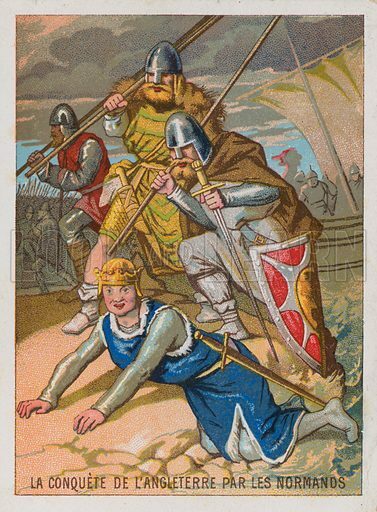 The second picture shows William the Conquerer falling onto the sand of Pevensey Bay in 1066. The conquest of England by the Normans, with William the Conquerer, having fallen onto the sand of Pevensey Bay, at which he exclaimed, 'By the splendour of God, I have taken seisin of England! – I hold its earth in my hands!'. 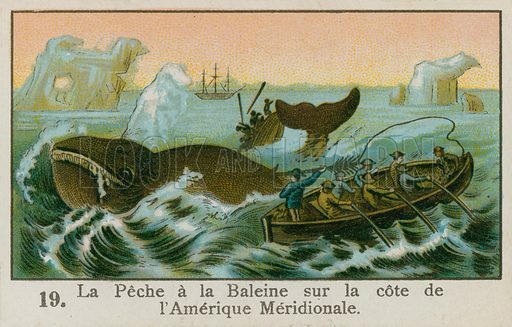 The third picture shows whaling off the coast of South America. 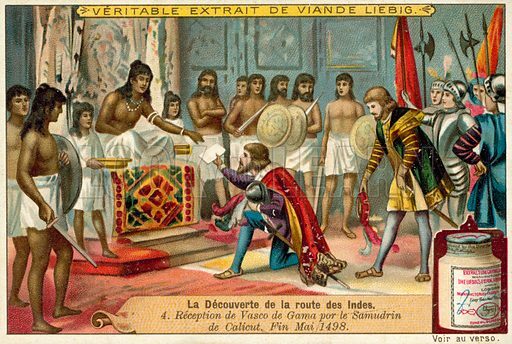 The first picture shows the reception of Vasco da Gama by the Samudiri of Calicut, India, May 1498. 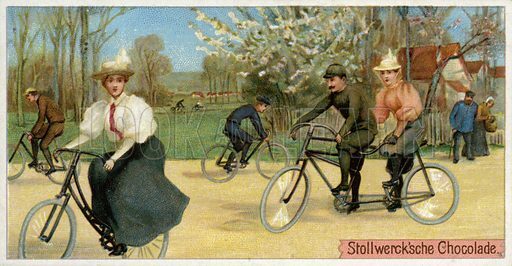 The second picture shows men and women on bicycles. 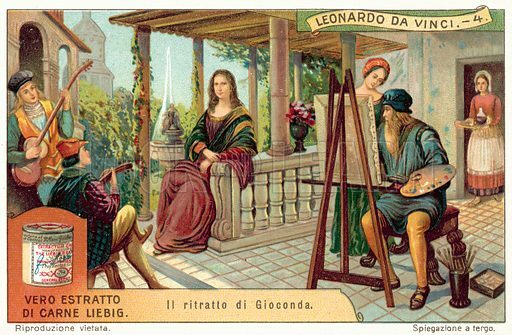 The third picture shows Leonardo da Vinci painting the Mona Lisa. 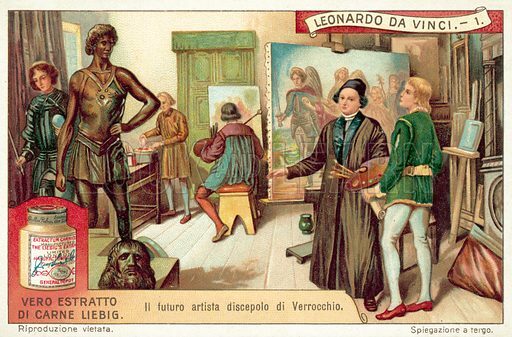 The first picture shows Leonardo da Vinci as a student of Andrea del Verrocchio. 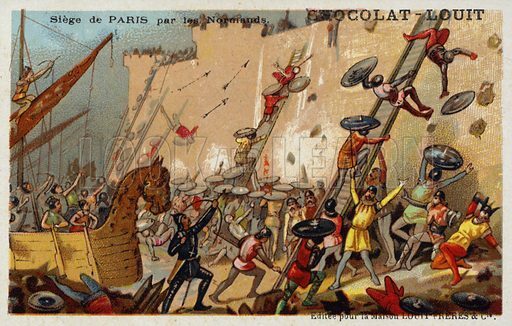 The second picture shows the Siege of Paris by the Normans in the 9th Century. 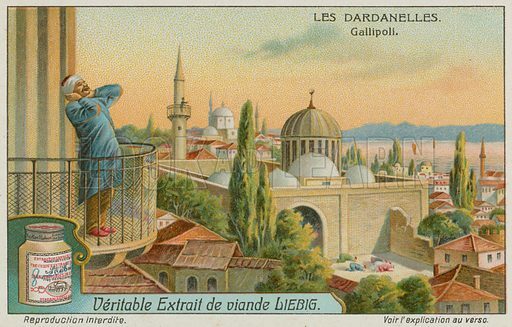 The third picture shows the Call to prayer at Gallipoli. 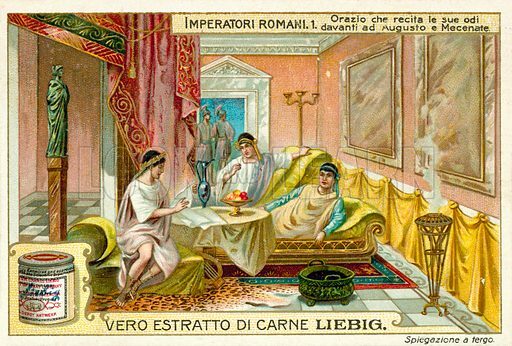 The first picture shows Horace reciting his odes before Augustus and Maecenas. 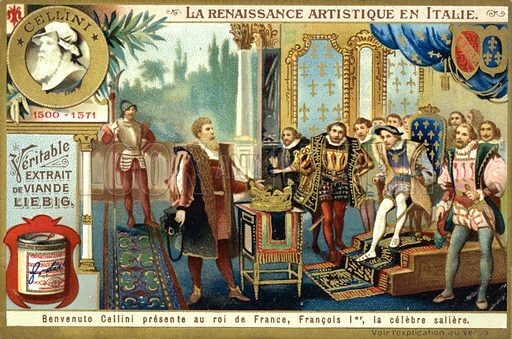 The second picture shows Benvenuto Cellini presenting his salt cellar to King Francis I of France. 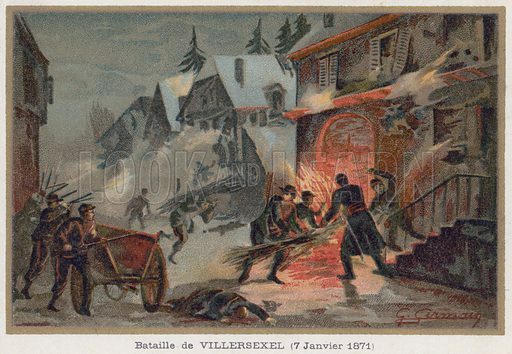 The third picture shows the Battle of Villersexel, 1871. 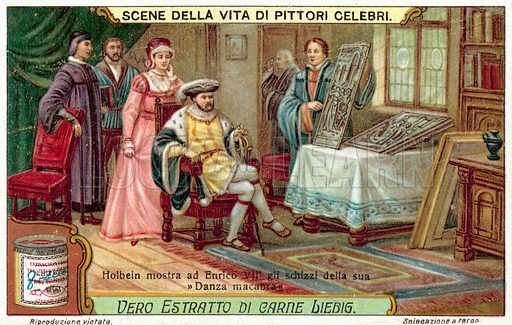 The first picture shows Holbein showing Henry VIII sketches for his Dance of Death. 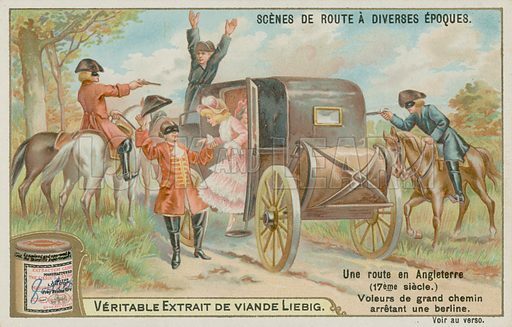 The second picture shows a coach held up by Highwaymen. 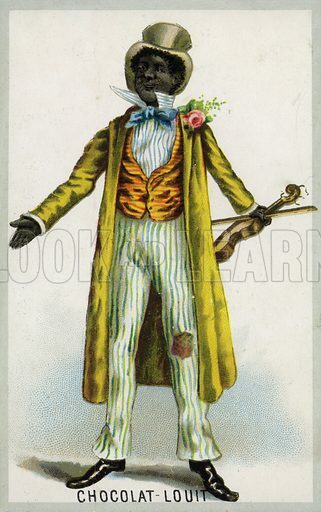 The third picture shows a dandified black violinist. 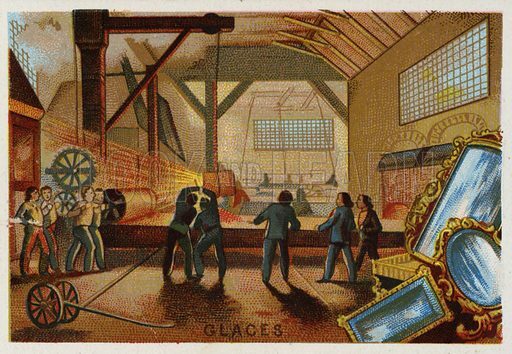 The first picture shows the manufacturing of mirrors. 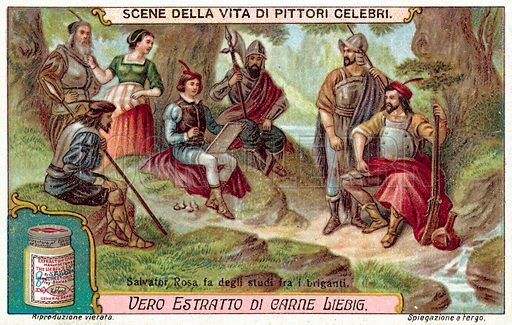 The second picture shows Salvador Rosa drawing studies of brigands. 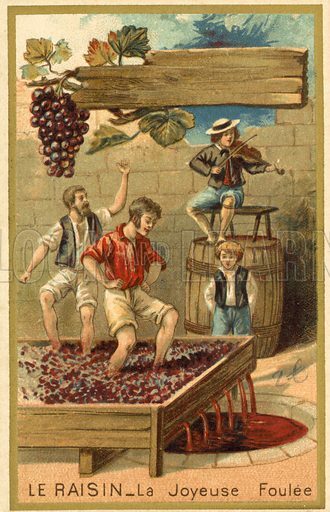 The third picture shows vineyard workers treading grapes. 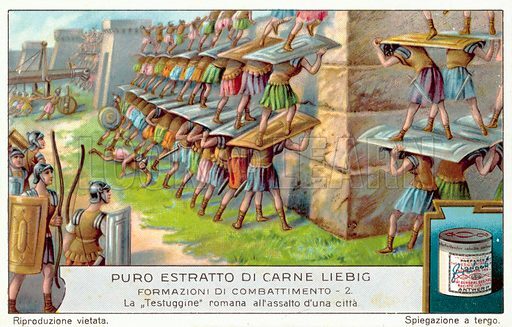 The first picture shows Roman soldiers forming a ‘tortoise’ to attack a city. 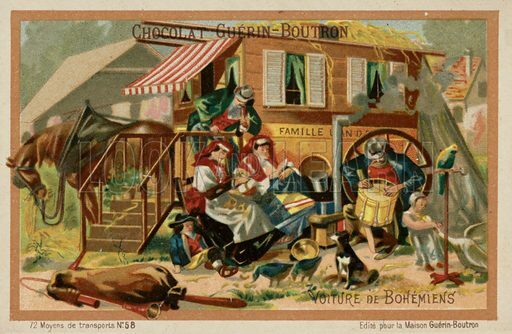 The second picture shows a Gypsy caravan. 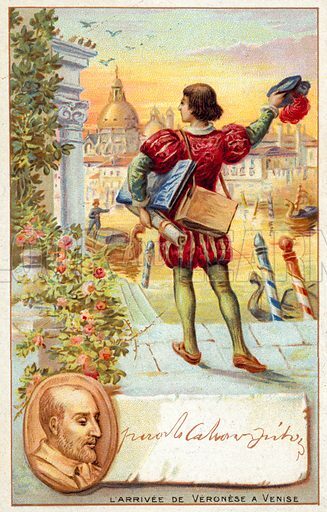 The third picture shows Paolo Veronese arriving in Venice in 1553. 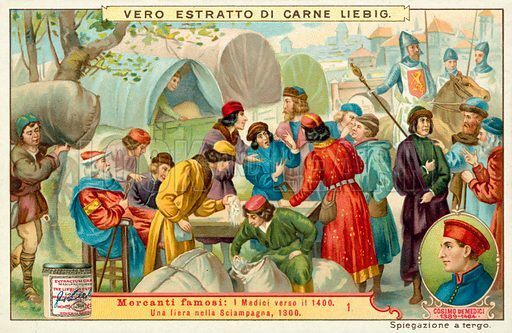 The first picture shows cloth merchants at a trade fair in Champagne in 1300. 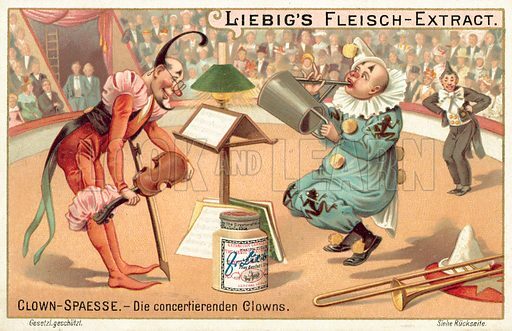 The second picture shows musical clowns. 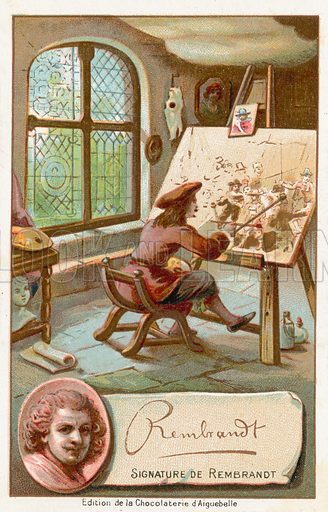 The third picture shows Rembrandt van Rijn, the Dutch artist. 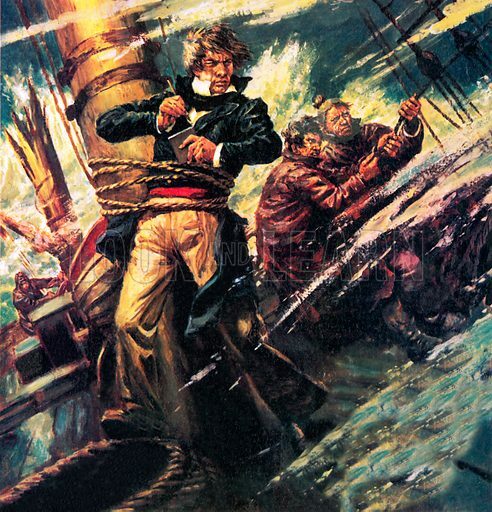 This is a magnificent bravura painting of England’s greatest painter enduring the elements to experience close-up the force and elemental grandeur of a storm. The 64 year-old Turner had had himself lashed to the ship’s mast for around four hours and the result of this experience was the monumental painting titled Snow Storm – Steam Boat off a Harbour’s Mouth. 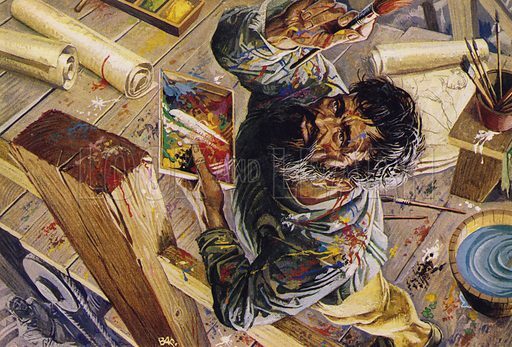 Many more pictures of painters can be found at the Look and Learn picture library. This technically superb picture is a complete revelation for anyone wondering quite how Michelangelo painted the ceiling of the Sistine Chapel. The necessary wooden scaffolding is apparent, as is the pulley system for raising the platform, and of special interest and appeal to the layman is the marvellous paint-spattered figure of Michelangelo, his face itself a picture of concentrated genius.